Are you looking to become a CNC Machinist? This video shows you some of the many things you could be doing as a machinist. Machining requires a lot of different skills, but with training and/or schooling, finding a job in this career isn’t as hard as most, due to the high demand. Machining often involves: hands-on and physical work, math, problem-solving, program editing, and setting up machines. 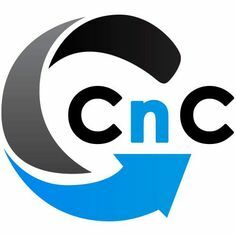 Initially, CNC machining jobs are usually well paying jobs if you’re just getting out of school. However, as a career, CNC machinists are often underpaid for what knowledge they have to have. It’s not something you’re going to get rich with if you’re employed by someone, but it will definitely pay the bills, especially if you’re working long hours. There are a few different job positions at a machine shop: a machine operator, a machinist, and a programmer. A machine operator is paid the least because the least amount of experience is required. Operators are often called “button pushers”, due to the fact that they don’t do much more than load parts in the machine. If any real problem occurs, they have to call on the “Machinist”. A Machinist is someone that has been trained and been around the job for a while. They are very good at problem solving, whether there’s something wrong with the machine, tooling, part set-up, or program. They can set-up jobs, make fixtures, know how to adjust feeds and speeds of machine for maximum efficiency, and edit programs when needed. A Machinist may move up to the “Programming” position if the manager deems them qualified. They are paid more because they are required to program the tool-paths for the parts. They get a blueprint from the engineers and have to know which operations are required and when. They have to account for many variables, such as fixtures that could get in the way, vice jaws, machine capabilities, and many more. Do not be intimidated, as many other careers are difficult like this. If you have the motivation, and these descriptions peak your interest, the manufacturing industry in the U.S. could use your help.